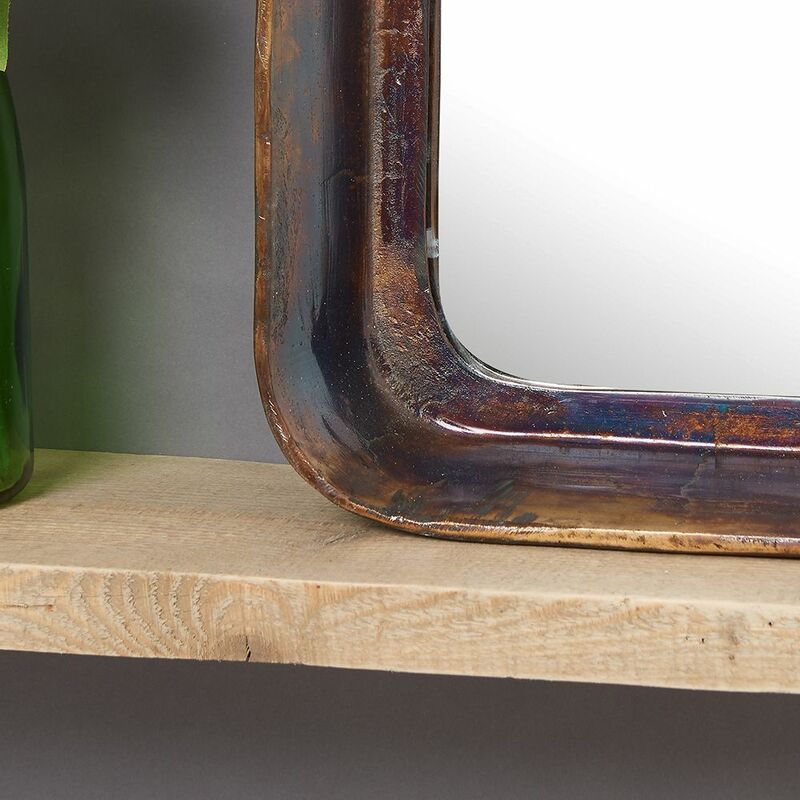 This stunning mirror can provide a wonderful focal point for most rooms given the two sizes available. 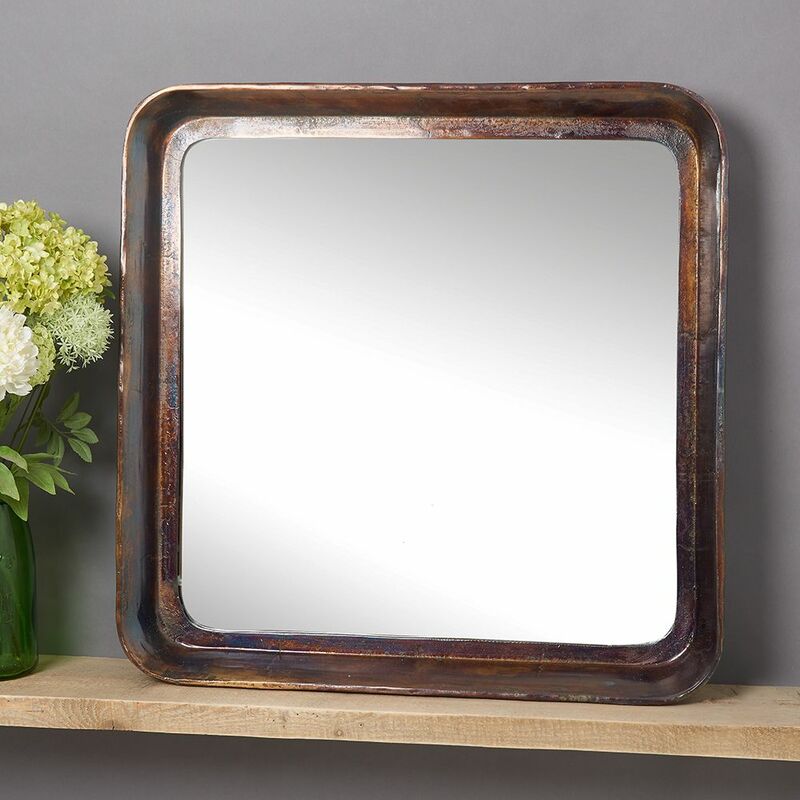 It has a burnt copper, almost molten lava finish that is unique to each mirror and its depth gives it real character and substance. 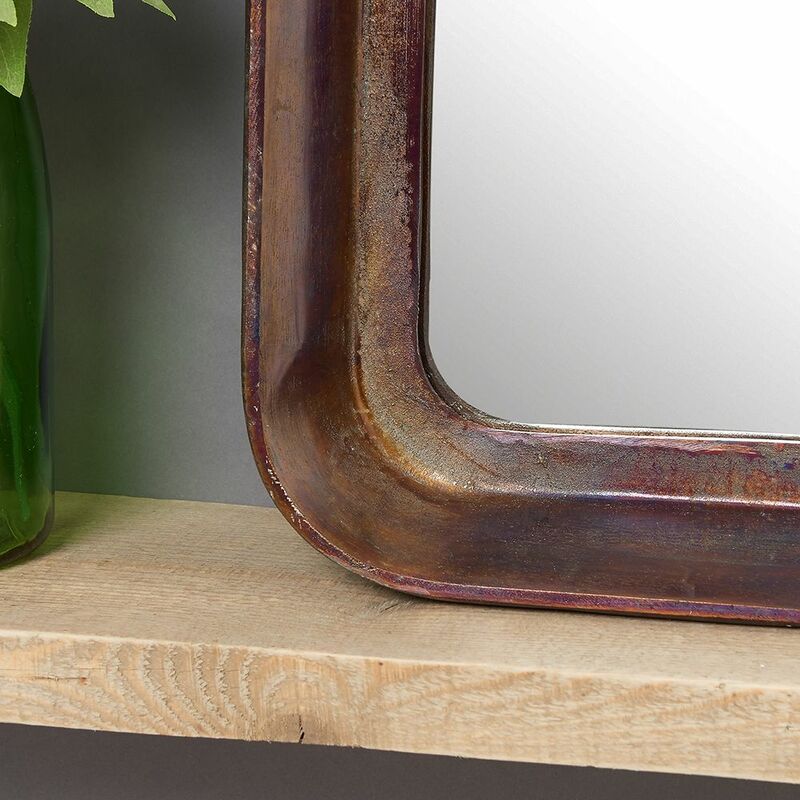 Perfect in a hallway, above a fireplace or console table or in a bedroom or bathroom, it's made from metal and best quality glass and is supplied with fixings for both portrait and landscape. Small approx: 70cm x 70cm x 10cm in total. 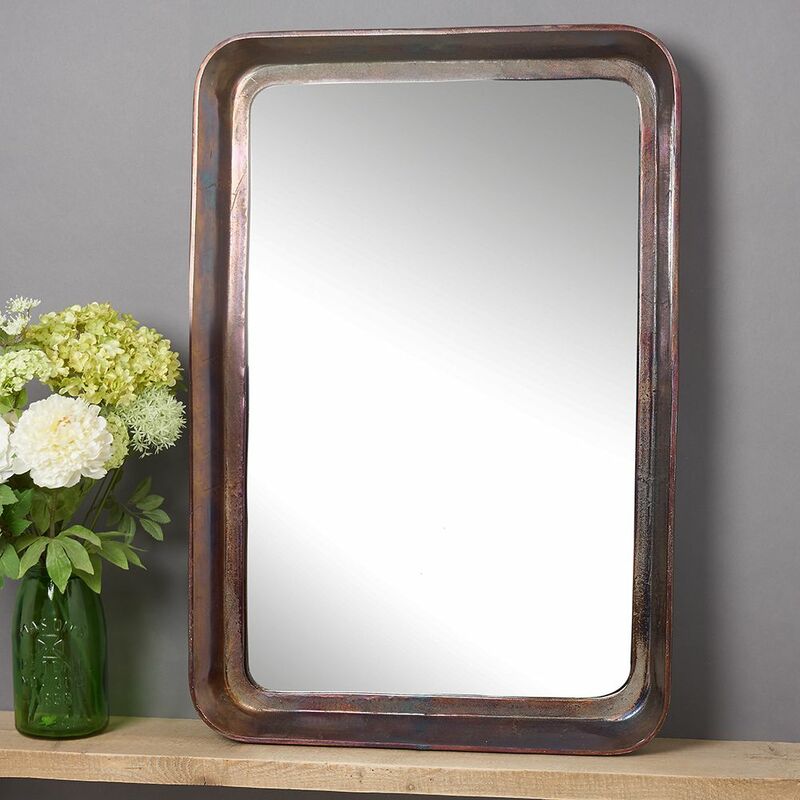 Large approx: 90cm x 60cm x 10cm in total.